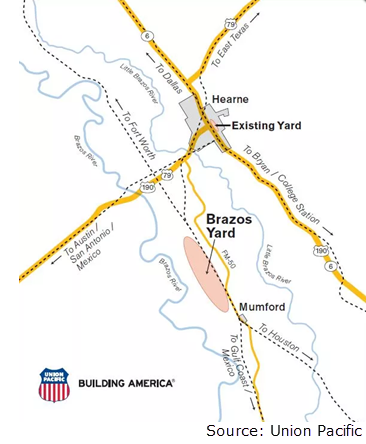 ​​​​ HEARNE – The Brazos Yard, a rail yard in Robertson County, is under construction and is the largest investment in the 155-year history of Union Pacific. The $550 million rail yard will be one of the highest capacity yards on the company's 23-state network. It will have a 1,300 capacity and create 500 construction-related jobs.